Por desgracia, Lundgren nunca llegó a trabajar con Zulawski, con el que iba a rodar la frustrada 'Le tigre' a principios de los 90: "Se situaba en los 50, en la Guerra de Vietnam. Era una especie de aventura sobre una mujer enamorada de un tigre". 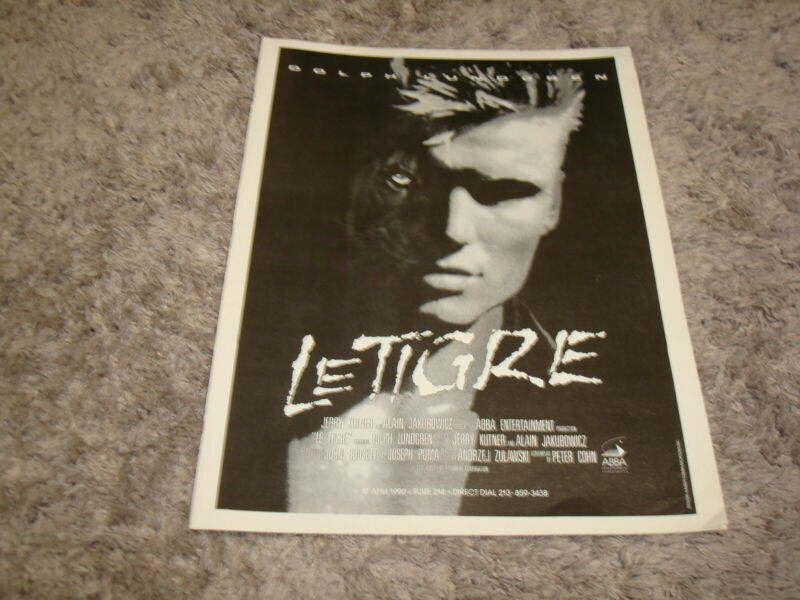 A MUST-READ and detailed article on the genesis of LE TIGRE by Zulawski's scholar, friend and collaborator Daniel Bird who had never heard of the project before I personally told him about it, which even sparked new interest of the director to work on the script again more than 20 years later! Then it was a new company, ABBA Entertainment, that picked up the script and revived it in late 1989 / early 1990, attaching Dolph to star in it because he was a hot bankable name in pre-sales back then and they pre-sold territories for $7 million total which was pretty much the budget (to shoot in Thailand or the Philippines).